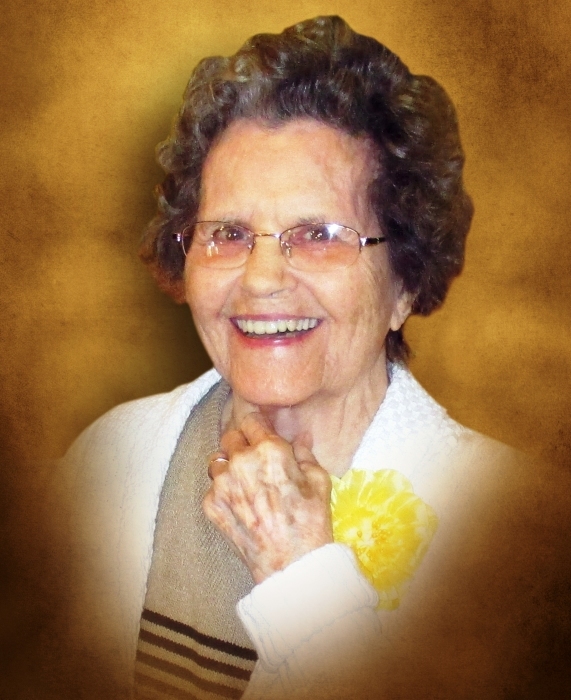 Dorothy "Dot" Roye passed from earth to heaven early Wednesday morning, September 12, 2018. Dot was 91 years old. She was preceded in death by her parents, James T. Garrett and Mary Garrett, her husband of sixty-eight years, Tom Roye Jr., her brothers Thomas, Paul and Frank Garrett, and several sisters and brothers-in-law. Dot married Tom in 1947, and she lived in Calhoun from that time until her death. She is survived by her son and daughter-in-law, Larry and Gwen Roye, and her grandchildren, Amaris Roye and Joshua Roye. She is also survived by her sister-in-law, Maureen Grizzle, and by several nieces and nephews. Dot was a faithful member of Riverview Baptist Church for more than sixty years where she sang in the choir and taught Sunday School. She was a longtime employee of Echota, later Mt. Vernon Cotton Mill. There will be a service to celebrate the well-lived life of Dorothy Roye on Friday, September 14th at noon from Riverview Baptist Church. Visitation will be held at the church, on Friday for one hour prior to the service. The Rev. Jamey Hunt and The Rev. Clinton Green will officiate; her nephews will serve as pallbearers. The family would like to express our gratitude to the entire staff at Morning Pointe for their loving care of Miss Dot. Condolences may be left at www.maxbrannonandsons.com. Max Brannon and Sons Funeral Home of Calhoun is in charge of the arrangements.